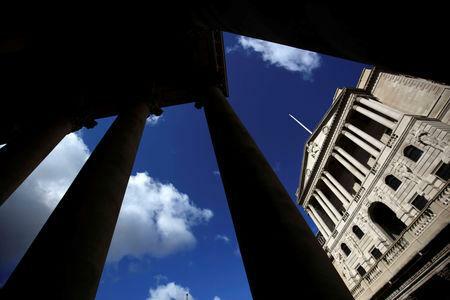 LONDON (Reuters) - A host of central banks meet next week, but with a global economic slowdown underway alongside political and trade strife, they are unlikely to tinker much, if at all, with policy. An escalation in the U.S.-China trade war would trigger a sharper downturn, economists say, putting major central banks on a more cautious path just as they want to wind down crisis measures. 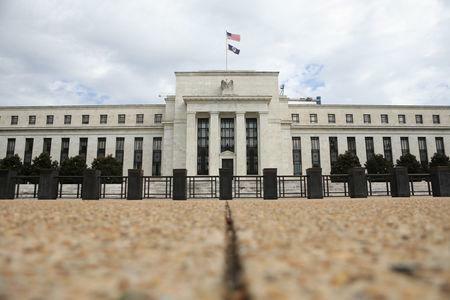 On Wednesday, the United States Federal Reserve will release its updated forecasts for the U.S. economy, and its latest dot plots will probably point either to no more interest rate rises this year or to one more at most. The Fed is currently in a holding pattern and its chief, Jerome Powell, signaled at the conclusion of the last meeting in January it may be at the end of its policy tightening cycle and would be "patient" before making any further moves. "We believe the word 'patient' is likely to appear in the March policy statement again, as it did in January," HSBC economists told clients. "This would imply, in our view, that the target funds rate will be kept unchanged for at least the two subsequent policy meetings. We look for one 25 basis point rate increase in the federal funds rate this year, in September." A Reuters poll pointed to one rate increase, in the third quarter, before it calls a halt. On March 21, the Bank of England is almost certain to sit on its hands. British lawmakers voted overwhelmingly on Thursday in favor of delaying Britain's exit from the European Union, which had been due at the end of the month. Prime Minister Theresa May will now try for a third time to get parliament's approval for her proposed deal on leaving the EU. Lawmakers must decide whether to back a deal they feel does not offer a clean break from the EU, or reject it and accept Brexit could be watered down or even thwarted by a long delay. "This looks set to keep the Bank Rate firmly on hold at 0.75 percent. The committee is very unlikely to raise rates again until it has a clearer line of sight on Brexit," said Victoria Clarke at Investec. Britain's economy came close to stagnating again in February amid Brexit nerves and sluggish global growth, a picture repeated in the euro zone where a series of weak economic reports have confirmed a slowdown. The European Central Bank may have missed its opportunity to raise interest rates before the next downturn, according to a Reuters poll that showed a majority of central bank policy watchers aren't confident they will. Earlier this month, the ECB pushed back until at least 2020 the timing of its first post-crisis rate increase. It also offered banks a new round of cheap loans to help revive the euro zone economy. It was a similar scene in Asia, where growth is also slowing. Central banks in Indonesia, the Philippines, Taiwan, and Thailand all have monetary policy meetings in the week. "The market is interested in what Indonesia and the Philippines central banks will do and look for any signs of easing after their aggressive policy hikes in 2018," said Prakash Sakpal at ING. All 13 economists polled by Reuters said the Philippines central bank would leave policy alone and probably wait until inflation is within its target before it looks to ease. Indonesia's central bank will also remain on hold and wait for further moves from the Fed, a Reuters poll suggested. "We think Bank Indonesia will remain on hold until late Q3 when we expect it to hike another 25 basis points to maintain balance with Fed hikes," noted Credit Suisse economists. Bucking the trend, Norway's central bank is expected to raise its key rate on March 21 and continue to tighten later this year amid solid growth and rising inflation, a Reuters poll found on Friday. Norway's fourth-quarter growth exceeded expectations, as did February inflation. The crown's weakness and a rising price for crude oil, the country's main export, also point to tighter policy.